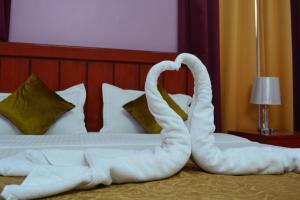 Room was serviceable and comfortable, price was good. 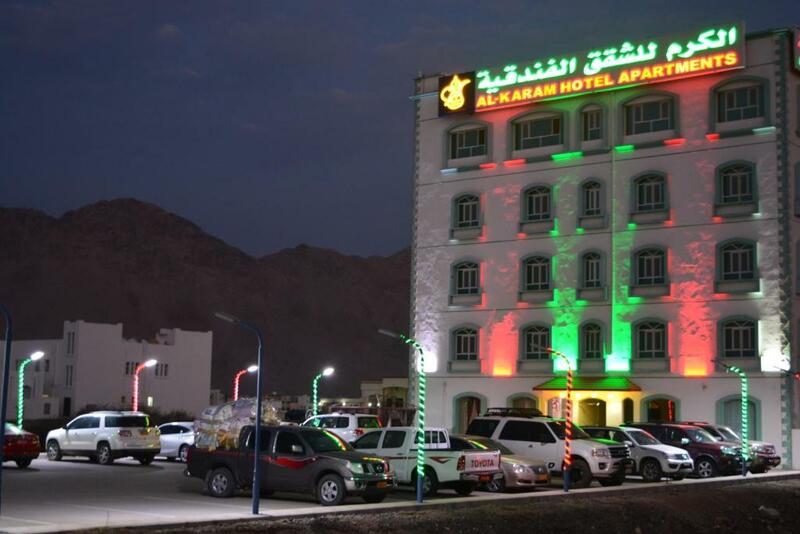 15 minutes drive from Nizwa Fort and Souq. Kitchen was helpful especially with kids around and lack of vegetarian options in Nizwa. Had a living room with TV. Stayed there for a couple of days. Mostly visiting places around Nizwa. We usually start from the hotel after breakfast and come back late noon for cooking lunch. After lunch we went around till dinner and returned back for sleeping. The room was big, with a kitchen and living room in addition to the bedroom and bathroom. The breakfast was pretty good, basically what you would expect for the price of the hotel, and the staff will cook you some eggs if you want. The location worked well for us because it's about a 10 minute drive south of the base of Jebel Akhdar and 15 minutes north of Nizwa (by car of course). The staff were friendly and our stay was quiet. Overall experience was good. Value for money property. Lots of parking, staff were very friendly and facilitated a very early check in for us (about 9:30am!). We felt very well looked after. It was an easy drive to Nizwa fort and souk from the hotel. Breakfast was good. We had a 2 bedroom apartment and it was very large with two bathrooms. The breakfast was much better than expected, and the staff was very friendly. Room was clean, and there was plenty of parking right out front. Two bedroom apartment was very large. Lock in a great price for Al Karam Hotel Apartment – rated 8 by recent guests! 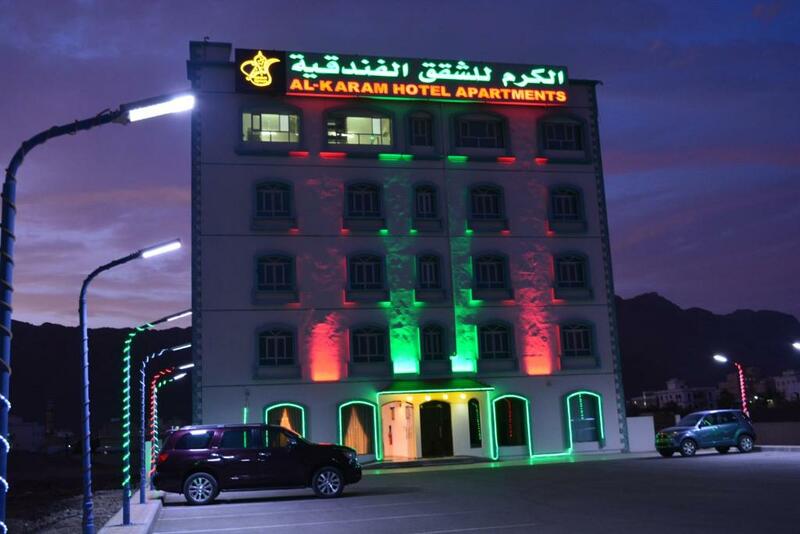 Apartments at Al Karam Hotel Apartment feature a flat-screen TV, air conditioning and cable channels. Private bathrooms also come with a shower. Extras include a safety deposit box and a fan. Some of the rooms have a seating area. 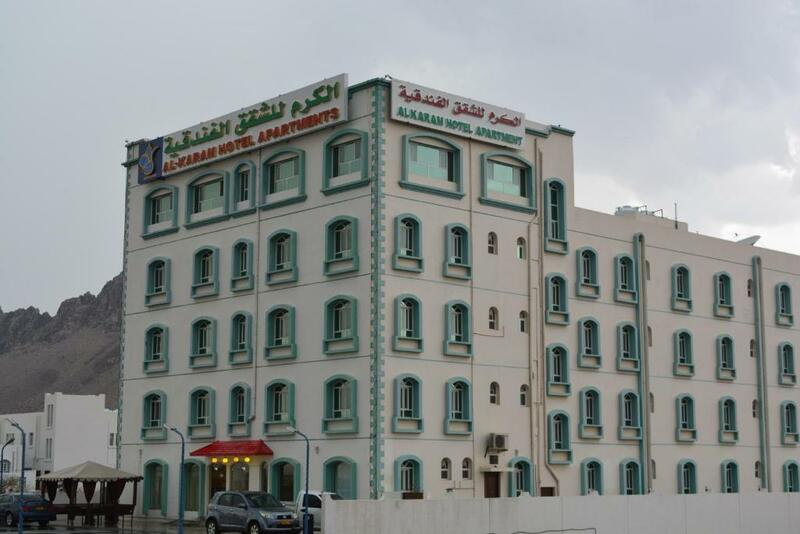 At Al Karam Hotel Apartment you will find a 24-hour front desk and a shared kitchen. Other facilities like a laundry are offered. 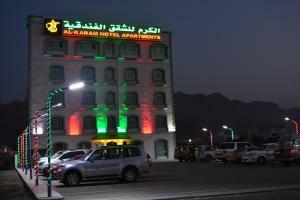 When would you like to stay at Al Karam Hotel Apartment? 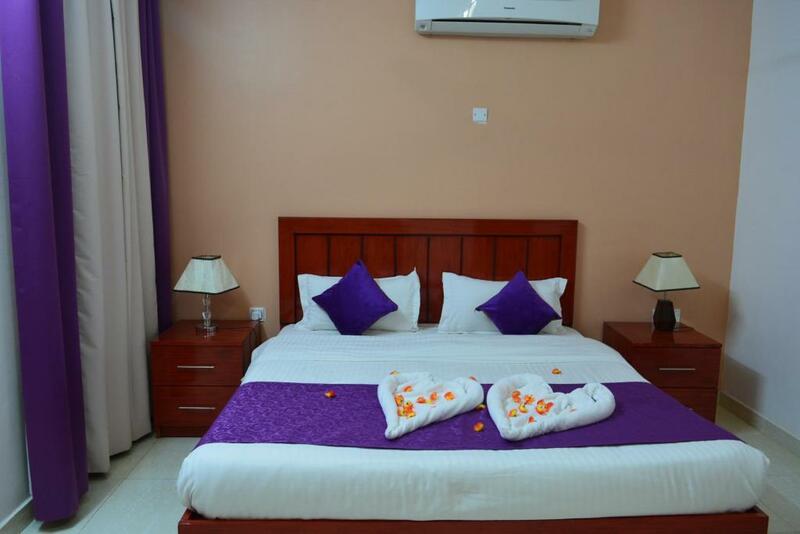 This air-conditioned room offers a flat-screen TV, an iron and an private bathroom. This air-conditioned apartment offers a living room with a flat-screen TV and a kitchen complete with a fridge and a stove. A shower is fitted in the bathroom. 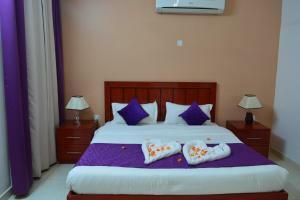 This triple room includes 3 rooms, a living room and kitchen. It features a sofa, air conditioning and a bathrobe. 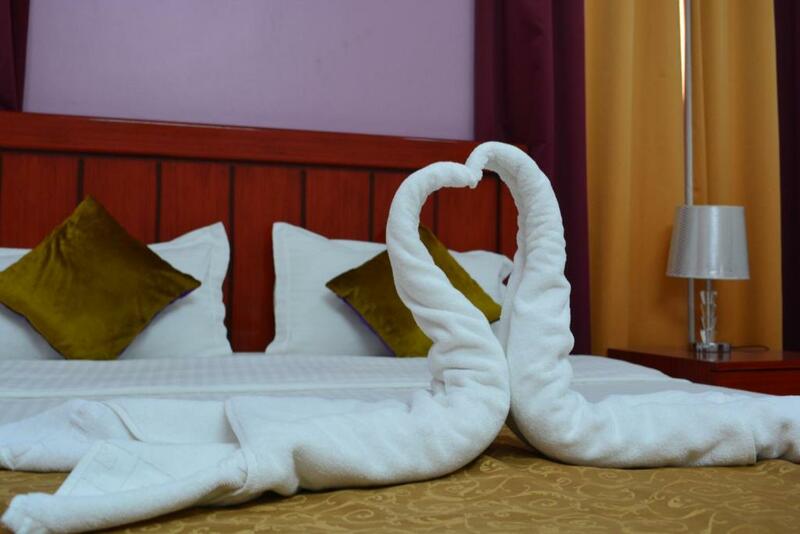 House Rules Al Karam Hotel Apartment takes special requests – add in the next step! Any additional older children or adults are charged OMR 10 per night for extra beds. 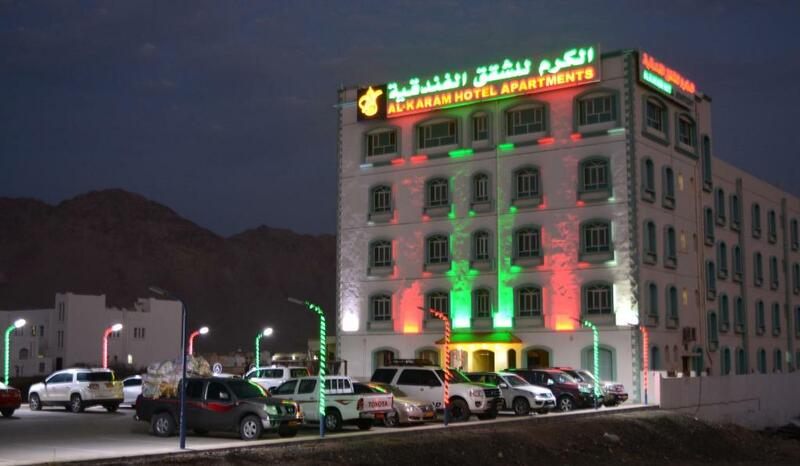 Al Karam Hotel Apartment accepts these cards and reserves the right to temporarily hold an amount prior to arrival. The apartment was really spacious and clean. 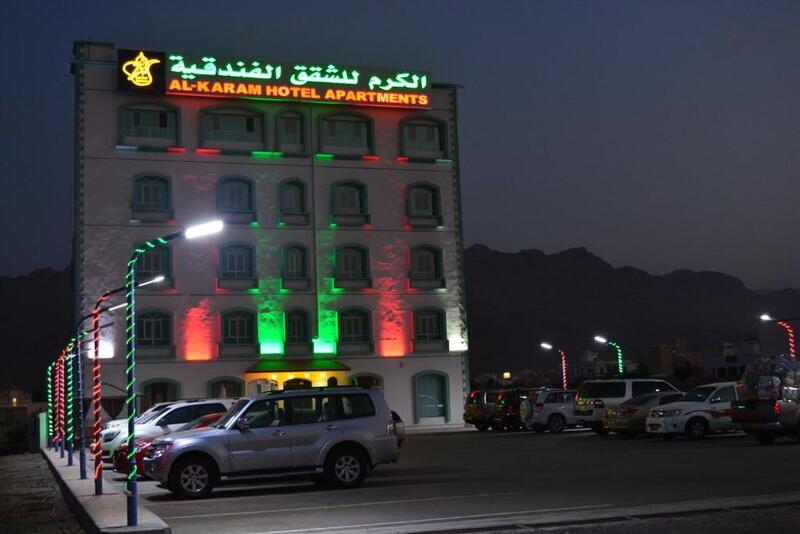 It was may 2nd staying by Al Karam. Nice,spacious,clean,quiet hotel. The only claim is that the quy at the reception was trying to cheat me on money when paying the bill. It was not fine,shouldn't have occured in such a nice, high standard hotel. The management should do something about it. No warm water in the shower. We needed one more hotel and decided spontaneously to stay there for one night. Nice hotel, we had a huge room with a living room, a kitchen, sleeping room and bathroom for ourselves. The bed was really comfortable. The staff was friendly and the breakfast one of the best one on our whole 12-day trip through Oman. We were the only ones and it had everything we needed, we especially liked the huge variety of fresh fruit. Reception did not have any information on near tourist sites. The room was clean and there was a kitchen with small cooking possibility. Less options for restaurants near the area. Comfortable rooms and living space. The staff was very friendly and helpful. The room was big and comfortable. We really appreciated the breakfast. The hose in one of the showers was broken. I stayed here after two years. The apartment was clean and beds comfortable. Breakfast was simple. I had some fruits and eggs. The apartment was huge. We were only two person for one night therefore we could not really use it. Breakfast was nice. There is no special paved road to the hotel, so it is hard to see where you need to make a turn at night. Even if the hotel is 100m from the road and you can see it, you do not know where to turn unless you shine the car lights in that direction. The bed was a bit too firm for some members of my party. reasonably cheap for Nizwa, very close to Nizwa Mall and the highway. A comfortable blanket. Spacious parking lot. The staff provided a hair dryer on request.